Inverdale's remark about Marion Bartoli Jump to media player The BBC apologises after reports that commentator John Inverdale said new Wimbledon champion Marion Bartoli was "never going to be a looker". Tennis fans queue for Murray Mound Jump to media player Tennis fans have been camping out overnight to be at the front of the queue for tickets to Murray Mound, as John Maguire reports. Pinki, 11, to toss Wimbledon final coin Jump to media player An Indian girl who underwent surgery for a cleft lip and palate has been chosen to toss the coin at the start of the Wimbledon men's tennis finals. 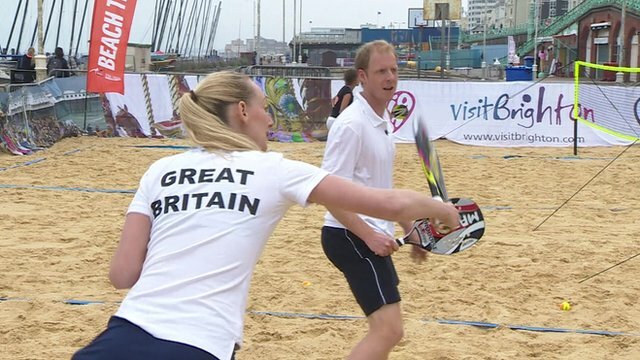 Seaside serves: Beach tennis Jump to media player As Wimbledon comes to an end this weekend, a new type of tennis is catching on at the seaside. 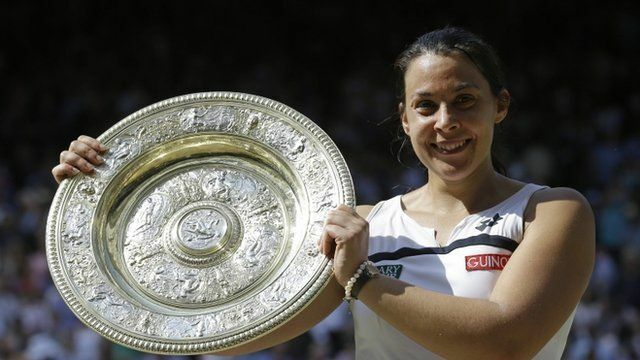 The BBC has apologised after reports that commentator John Inverdale said Wimbledon champion Marion Bartoli was "never going to be a looker". Inverdale's comments on Radio 5 live as the French player prepared to face Germany's Sabine Lisicki provoked anger from many listeners. A BBC spokesperson said: "We accept that this remark was insensitive and for that we apologise."